J.E. Nice is about to release the third book in The Last War trilogy, In My Bones. I got a chance to chat with her about her love of dragons, her writing process, and her life outside of writing. There were a couple of inspiration points for In My Bones, especially as it’s the third book in a trilogy. The first book, Matter of Time, started when I was in a new job and I was bored. I’d run out of work and they didn’t have any more to give me. I was sat next to the window and I stared out at the rain lashing against the glass. I opened up an email to myself and typed, ‘It was raining.’ That was the beginning of the trilogy, and that sentence is still in there. It led onto a scene with Del, a veteran, exiled dragonslayer meeting a company of dragonslayers seeking shelter during a storm. A few months later, I was driving home from work with music blaring. Edge of the Earth by 30 Seconds to Mars came on and I suddenly had a vision of Del standing with sword in hand, looking down through the heat of lava and fire to a large dragon. That became my focal point for In My Bones and helped to drive the rest of the trilogy. Have you always loved dragons? Yes. I’m pretty sure my love of dragons probably evolved from a love of dinosaurs when I was small. I discovered fantasy when I was about sixteen, but I was attracted to dragons before then. When my mum bought me a fancy hobby horse, I picked a dragon instead! Tell us about the third book in the The Last War trilogy. No spoilers! In the city of Drummbek, humans and dragons live side by side. But it took a war to get there. Our dragonslayers, maid and army commander have already dealt with the screams in the castle, people going missing and gangs forming to fight dragons on the Wastelands. Now an ancient dragon is ready to destroy what the humans and dragons have built. At the beginning of In My Bones, an egg cracks open. It’s the beginning of a new life, not just for the creature inside but for the inhabitants of Drummbek. Magic is returning to the world. The book follows characters from the previous two books, Del, Tabitha, Markkus, Andra, Johnny and Venkell, as they try to protect the city and its inhabitants from the biggest threat their world has seen in thousands of years. I have a few favourites but my absolute favourite is the novella ‘The Body’ by Stephen King. I first saw the film Stand By Me when I was twelve and fell in love. I finally found the book it’s based on, ‘The Body’, and fell even more in love – the book is usually better than the film! It’s about four twelve-year-old boys venturing out to find a dead body. It’s a rite of passage story and the two main characters are the misunderstood bad boy and the writer. The book goes into much more detail about the characters and story, of course, and because it’s Stephen King, the writing is incredible. I’ve been rereading the Rivers of London series by Ben Aaronovitch. The latest in the series, The Furthest Station, was recently released but it’s a novella so it was over pretty quick. It’s been a long time since I read the first book, Rivers of London, so I went back to that. Then I accidentally picked up the second book, Moon Over Soho. I’m sure I’ll stop after this one and go back to my massive TBR pile! I tend to fall in love with stories and characters rather than the author, so one book or series from an author I’ll love but another series from the same author, not so much. Right now, I love Ben Aaronovitch, V E Schwab (Vicious is beautiful) and I love K. S. Merbeth’s Bite. I also love Chris Wooding’s ‘The Ketty Jay’ series, and Joe Abercrombie’s ‘The First Law’ trilogy. I’ve almost trained myself to write anywhere! But I usually write at home, in a little office room upstairs where it’s quiet. I’ve also been known to write sat at the dining table and, if I’m struggling, down at the local coffee shop with a hot chocolate. When I’m working on a first draft, I try to write at least a thousand words a day. When I’m in the swing of things, that only takes me half an hour. I like to plot out the story beforehand so I know where I’m going, but it’s all open to change if a character decides to take it a different way. I prefer the writing to the editing so editing is the long slog. I try to do so many pages a day, and then towards the end, so many chapters a day. I love the feeling of the book coming together. I also love to talk about whatever I’m writing. Even if it’s just to myself! It really helps with plot problems (showers with no pen or paper also frustratingly help with that), but also helps me to get fired up and motivated to go write. When I’m not working on my books, I run a virtual marketing assistant business called Adminosaurus and I’m hoping to soon take my technical publishing experience to offer services for authors. 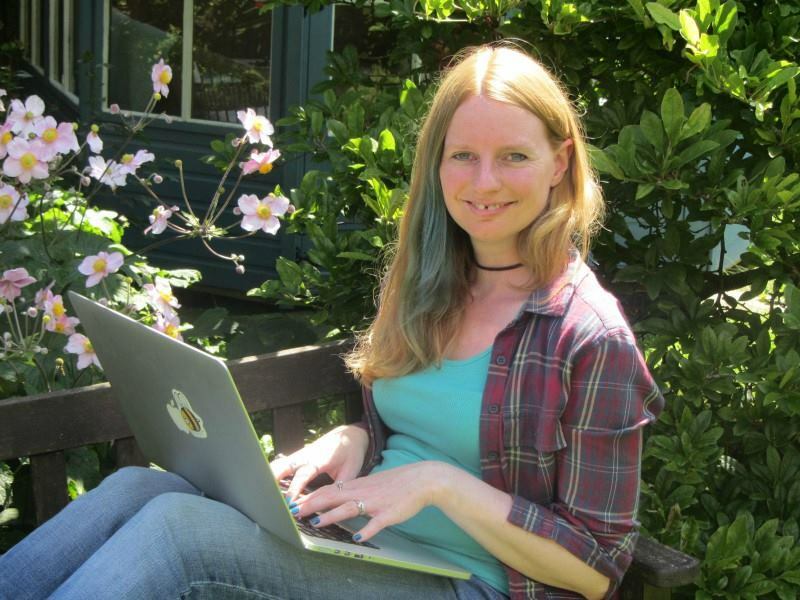 I’m also building a writing resources business called Write into the Woods, after speaking to so many people over the years who bombard me with questions about how to get started writing when they’re feeling overwhelmed and a bit scared. Outside of work, I love watching movies and TV, and I’m often very behind! As well as playing with our new Labrador puppy, Bucky, who I’m hoping will be a keen listener to plot problems in the future. A few times a year, I drag the people I love up to Scotland (my favourite place in the world) for an adventure. Otherwise, you’ll often find me sat on Bristol Harbour, even in the depths of winter, and watching the paddle boarders go by. Definitely real books. I have some ebooks but I can’t get the hang of reading them. You can’t beat a real book. I especially like to read before bed and the thought of staring at another screen before I sleep is enough to give me a headache. My whole life. My mum used to make up stories for me when I was a baby. Then we’d make them up together. As soon as I started learning to write, I was off! I owe it all to my mum. I haven’t ever really stopped longer than a few months, when life got in the way. I have lots of ideas for future books. I’m just starting to work on a new book about two women who form a paranormal investigation team. There’ll be fairies and ghosts and time travel in there too. In the middle of writing The Last War trilogy, I wrote another book about a werewolf hunter. I’ll be giving that a rewrite at some point and hopefully turning it into a series. I had great trouble saying goodbye to the characters in In My Bones, so I’m also planning a couple of short stories just to delve a little further into that world. And then there’s the pirate historical fantasy, the steampunkish fantasy following a crew on a flying ship, and the sci-fi dystopian thief. Needless to say, there’s more to come! 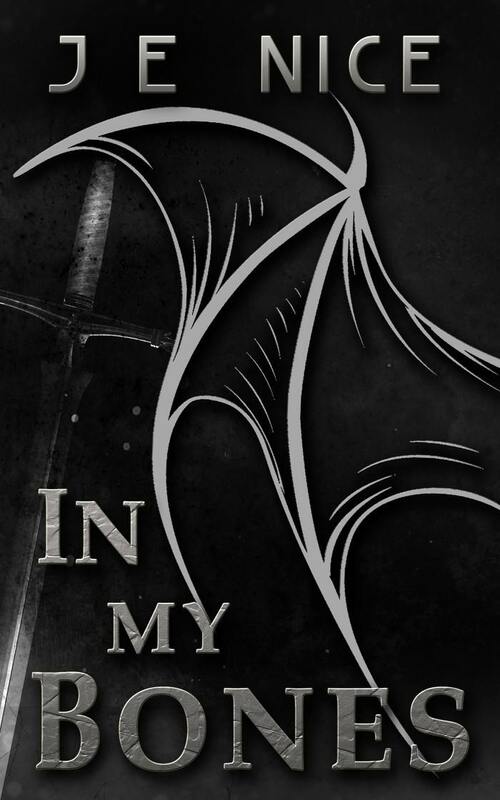 In My Bones will be available on Amazon (ebook and paperback), iBooks, Nook, Kobo and my Etsy shop (ebook only) from Tuesday 19 December 2017. Be sure to check out her website, and don’t forget to follow her on Facebook, Twitter, and Instagram for the latest updates!